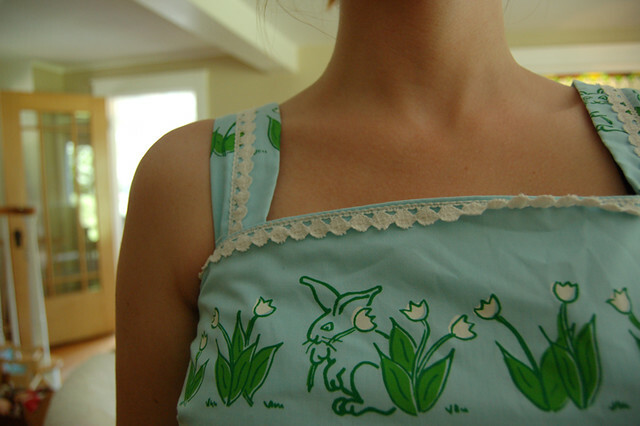 my favorite dress | Flickr - Photo Sharing! kitchenkisses, duchamp blinks, and 12 other people added this photo to their favorites. that fabric? just made me hyperventilate a little! fantastic. you'll be wearing for our NEXT 100 degree day. very beautiful! I love the little bunny. I can see why! ADORABLE! love it. we eerily did some tandem blogging last night/today. nice. My clothes have also defected to the darkside..my only friend now is spandex!